One of 5 World Junior Tennis qualifying zones, Asia/Oceania final qualifying event, is now completed in Kuala Lumpur, Malaysia for the top 14/u players. The Boys event was from 1st April to 6th April, and the girls event was from 8th April to 13th April 2019. Want to increase power, agility, and quickness and take your game to a higher level? 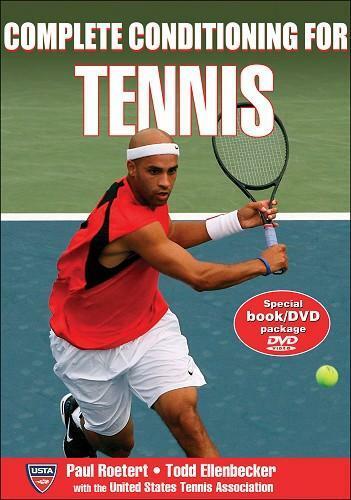 The book and DVD, "Complete Conditioning for Tennis - written by the USTA ", includes programs designed to your fitness level, improve footwork, speed, and flexibility and enhance your stamina and mental focus while preventing common injuries so you can be your best on the court. You can also get some good advices for conditioning from USTA website. Below is one of them on their website. Q. I have four kids ages 7, 9, 11, and 12. They all love tennis. I want to be able to provide them with every opportunity to be successful. How much, and what kind of physical training should I promote? Jog one mile per day? Hit for two hours per day? 60 sit-ups on the big ball per day? What do you think? A. Thank you for the email. It is good to hear that your children love tennis – the vital thing is to have a program that is fun and enables them to develop into good players. Your children are obviously of different ages and you do not say if they are girls or boys. If the older one is a girl she could be moving into puberty so it is especially important to make sure she has a good balanced schedule that takes into account her development. It is always difficult to know whether a child will be successful – and all four of yours are still very young at the moment. However, what will help them most of all is to give them a good schedule where they play other sports and take part in physical activities that will help them develop basic sports skills. These are balance, coordination and agility. In addition, they are all at the age when it is the best time to learn motor skills – the technique of different sports skills. If they take part in a wide range of sports and activities they do not really need specific physical training as you list it. The jogging would be for endurance – but this could also be done in a more fun way with another sport or activity. At this age sit ups are not necessary if the children have a varied and balanced program. Any sport activity at this age should be fun so while hitting for two hours a day could be fun, it is a rather long time for a 7 or 9 year old - about an hour would be best for them. Again, to take part in different activities other than tennis has actually been shown to help the development of tennis players. Concentrating on one sport at an early age is unlikely to be the best way to develop tennis players! If you follow a varied program with them all it is more likely they will become successful in sport – even if they decide on another sport than tennis! Share with youngsters tennis community.